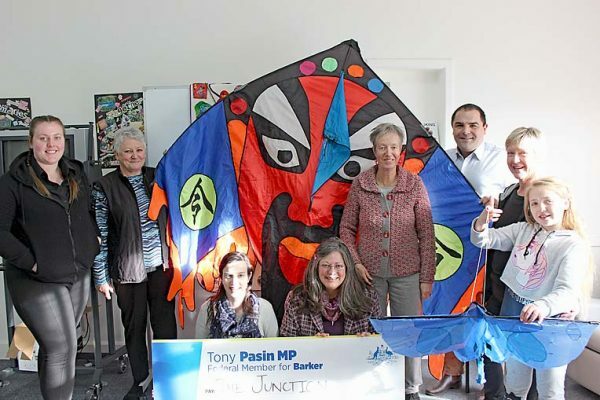 FLYING HIGH: Mount Gambier mental health activity and resource centre The South East Junction has received funding form the Building Better Regions Fund for its upcoming Flying High kite festival this October. Member for Barker Tony Pasin (third from right) and supporters of the group have welcomed the funding. THE South East Junction has received a Federal Government funding boost to hold a kite festival later this year.